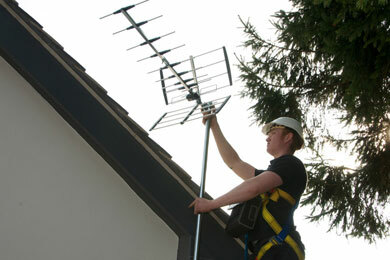 Digital Direct Aerials and Satellites are here to help. Your calls are answered by our helpful and knowledgeable office team who are the bridge between yourself and the engineer , arranging appointments to suit your diary and lifestyle. We have appointments available 6 days a week and will work with you to prevent you hanging around waiting for engineers with options to be called on route. 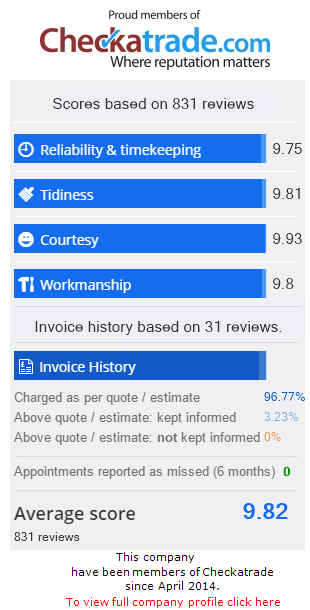 Our support for customers shines through with many Trustpilot reviews, see panels below. Our office team were all brought together to our main Halesowen base for the photocall. You can also see our engineers team page and how the teams work together in action. Kerry has a natural ability to support and encourage our team. Always looking for ways to improve the running of each day. Making sure we support our customers to the highest standard. Always happy to help and is a real problem solver behind the scenes. Kerry forms the real backbone running through our team. The lady I spoke to in the office (Kerry) gave a description of their firm and how they would handle the work. An appointment was made and the night before I received another call to confirm the appointment and to indicate the time their engineer would arrive. They also told me who they were sending (a great idea for security). Excellent experience! Office staff helpful and friendly and offered a quick appointment. Fitter arrived promptly on the day. Also able to make payment by debit card. Superb customer experience from beginning to end. Totally recommended. Jay is a little ray of sunshine. Always happy and has a fantastic disposition. 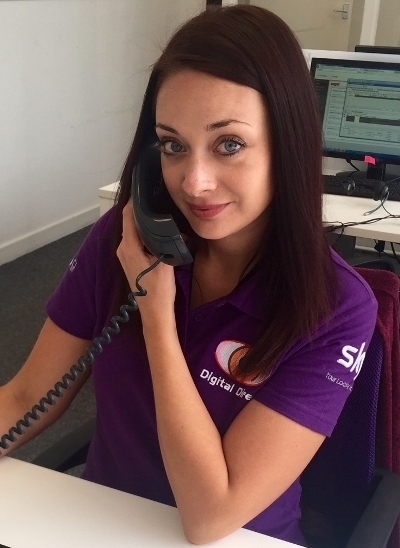 Jay often spends a bit longer on calls, the customers love her, see below, and she also ensures that our customers requirements are clearly communicated and checks back to confirm that the customer is happy. A problem solved easily and efficently by David in no time. I was kept informed, by phone, so knew exactly when he would arrive. These phone calls were made by an extremely friendy lady named Jay and by the time the last call was made I felt as if I’d known her for ages! I highly recommend them. 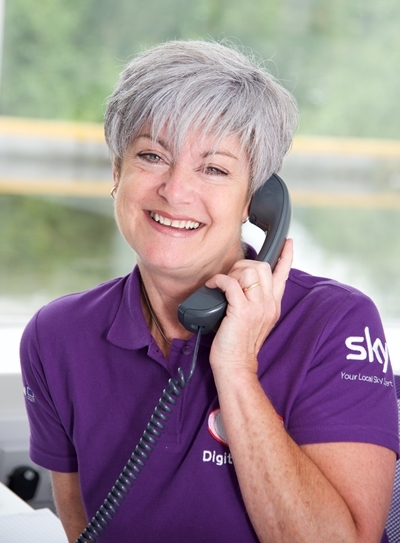 Lisa can support you with all your Sky subscription needs . 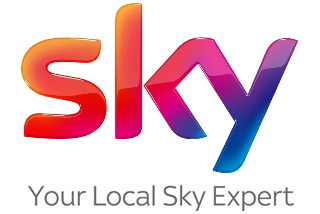 Lisa is a highly trained Sky specialist offering impartial advise on how we can mix paid subscription products with fee to air services . Giving you the most effective TV viewing options and solutions. 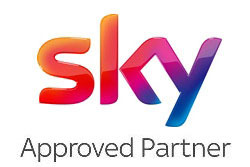 Outstanding service Did exactly what I wanted with the installation of a new satellite dish AND Lisa got me a great deal on my Sky package. Worth every penny and coupled with friendly service from a family business. Excellent Service Excellent service both by the engineer and office staff (Lisa?). Both were very helpful and loads of advice given. Excellent service couldn’t fault them. Did what they said they would at the time promised and for the price quoted! Rich the engineer was professional, tidy and very helpful and Lisa in the office was great too. Mr Clayfield, Worcester. Elaine loves organising the jobs to make sure we support you in a timely and orderly fashion. Elaine is a part-time member of the team however is always ready to support the team and our loyal customers and is always happy to help. 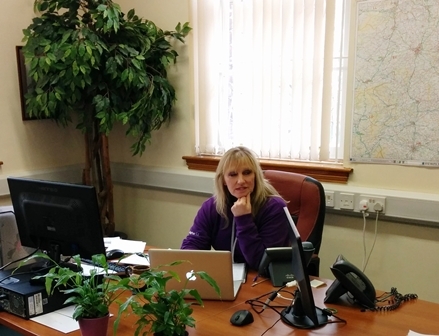 Fantastic Customer Service A telephone call then followed from Elaine in the office to arrange a date and time for a visit from an engineer. A second phone call was made from Elaine in the office on the evening before the visit to double confirm it was still convenient. The engineer arrived at my front door bang on time 9am. An excellent service from start to finish and exceptional customer service from all in the office that I spoke to, Elaine and Sarah. 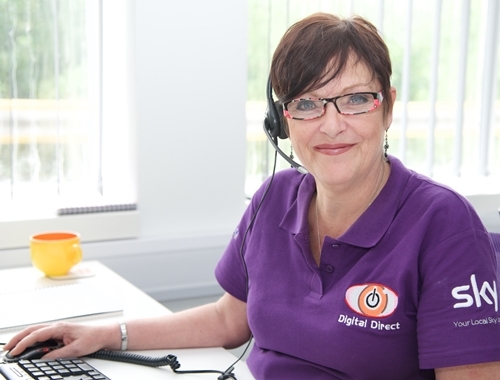 I called Digital Direct to book a maintenance visit and Elaine explained there was an engineer in CV3 in a couple of days time. She called back to confirm Wednesday morning. 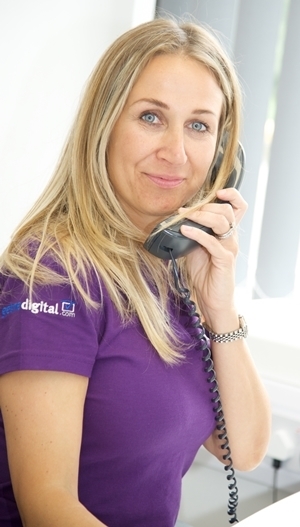 Lesley plays a principal role within the team looking after payments in and out along with health and safety. Lesley is always ready to answer you calls at busy times. Profesional organisation with friendly, responsible and helpful staff I contacted digital direct (Lesley), who took down my information in order to consult with technical staff. She phoned back within 5 minutes, and a convenient appointment was made. Lesley did so much behind the scenes; providing all the approvals evidence we required, sourcing the right equipment and invoicing to our company requirements. 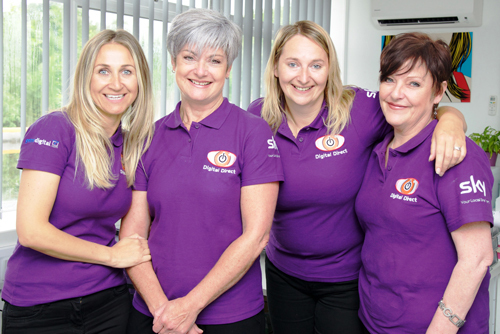 With her background in local marketing, Sarah spends her time building our business relationships, ensuring our high standards are not only met but exceeded whether in the office or on site. 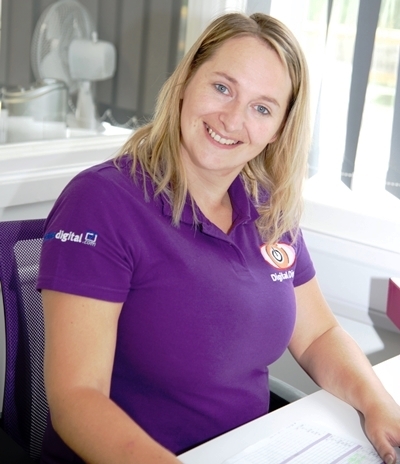 Sarah is a real driving force in the business, motivating her team and seeking out further business opportunities. Nick, Sarah , AJ all provided a brilliant service to us installing aerials including test and commissioning at Rolls Royce ! Sarah and the girls based at head office are great. They are friendly, helpful and always return a call when the say. After discussing with Sarah what are thoughts were, she swiftly arranged for an assessment of our property to be done by an engineer 48 hours later. Here we discussed what are issues were, the need for a system, where we wanted to be covered and went through all the different types of system avaliable to us. Straight from this assessment Sarah and the team very quickly had the parts we wanted ordered and an installation date was set.